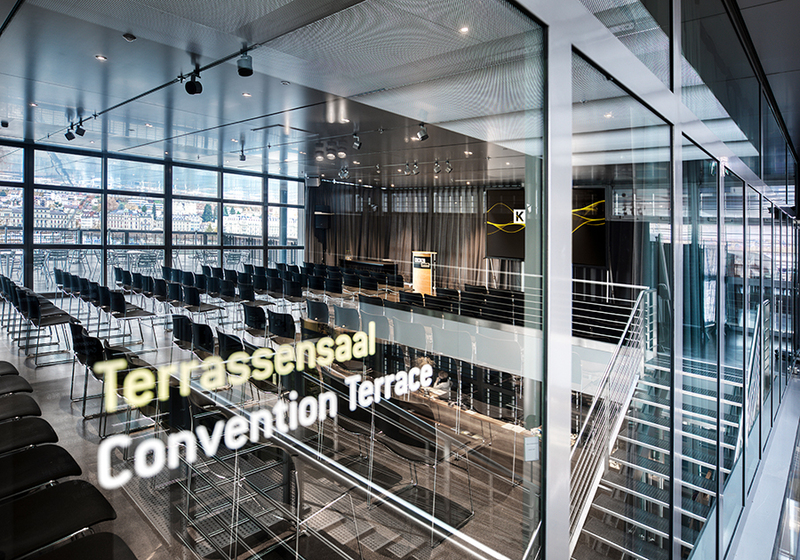 A combination of indoor and outdoor facilities plus the very latest technology with an LCD projector and PA system make the Terrace Hall an appealing meeting place forboard meetings,presentations, meetingsand receptions. 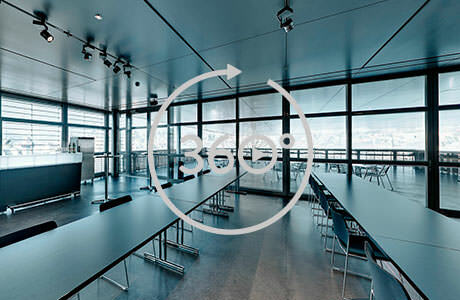 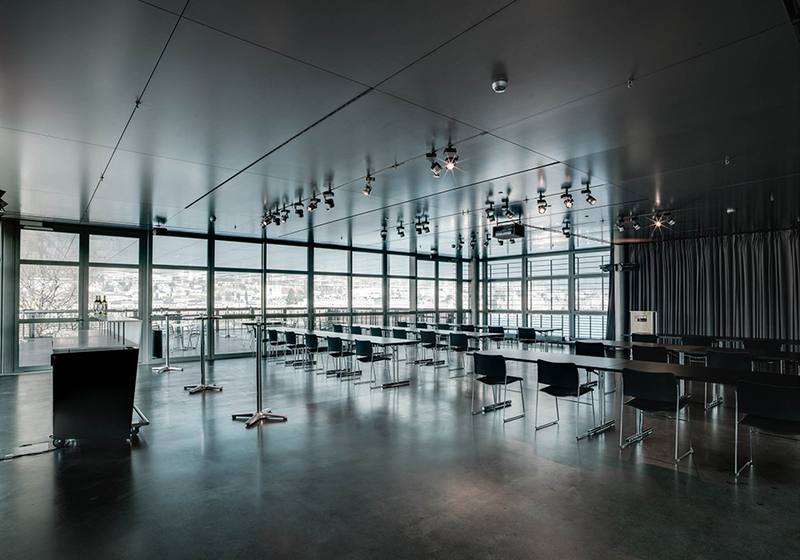 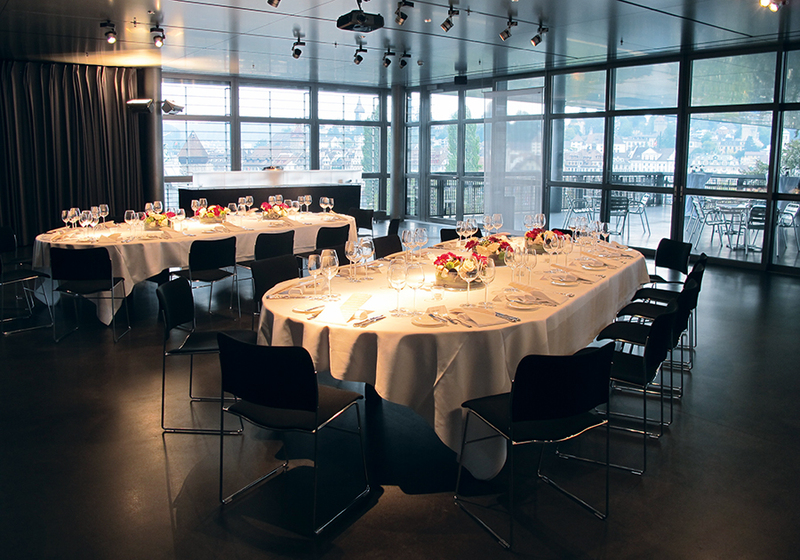 The Terrace Hall offers a light-filled room and an adjoining terrace with a unique view of the city of Lucerne. 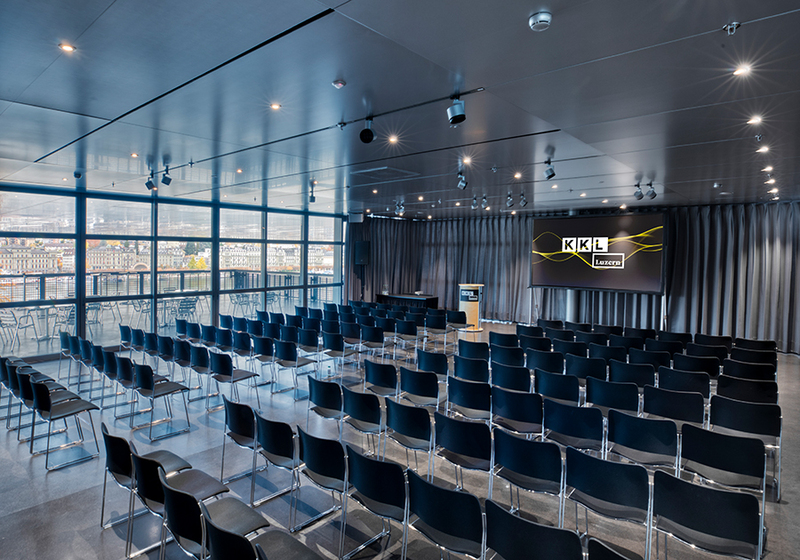 The location features extremely modern infrastructure with a wireless presentation system, LCD projector, PA system, microphones, as well as a touch panel allowing for easy operation. 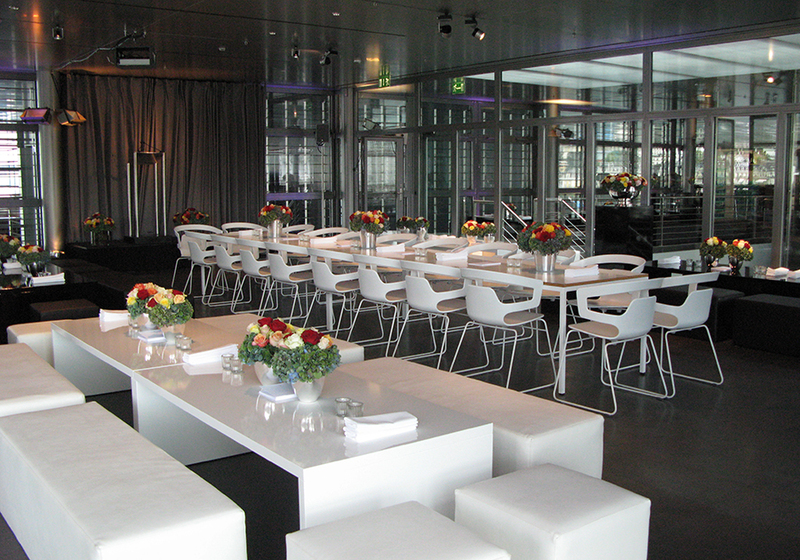 The hall and the terrace are an ideal combination and offer you a range of options for your event. 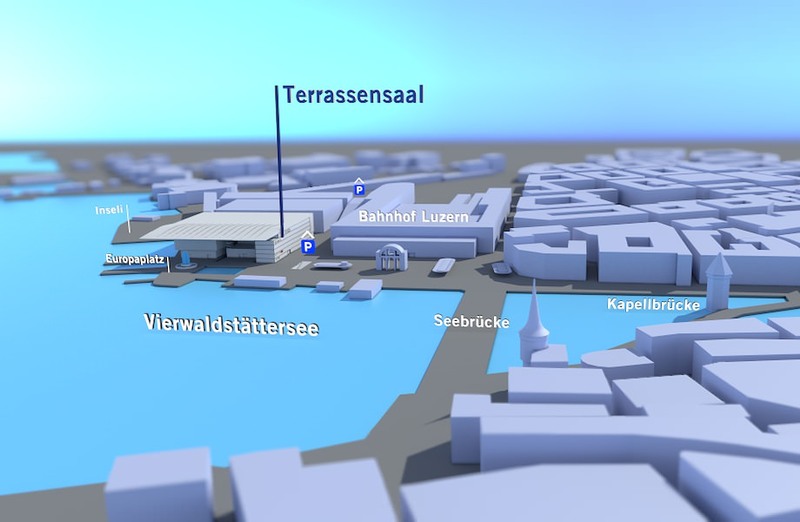 From Lucerne train station and the Bahnhofparking you can simply walk and take a lift to reach the Terrace Hall directly. 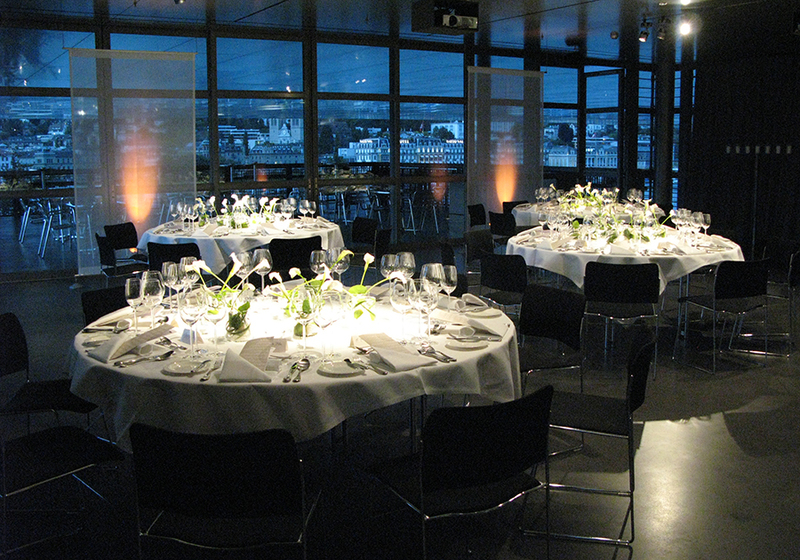 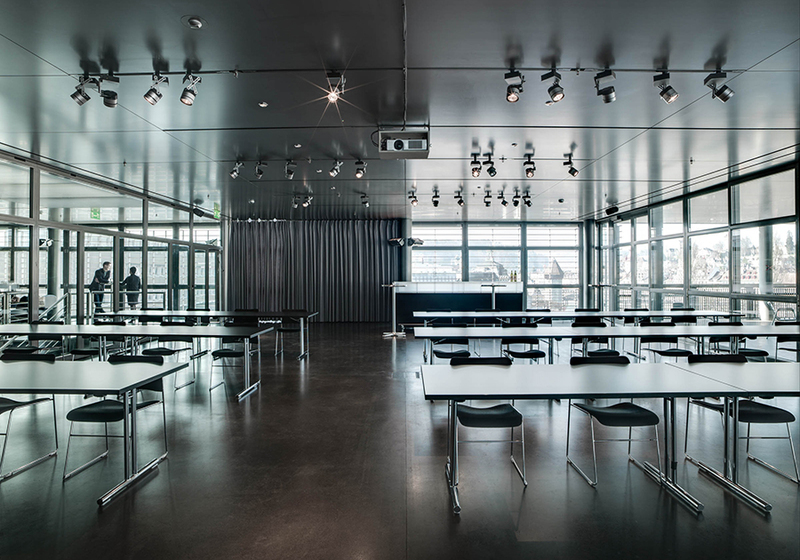 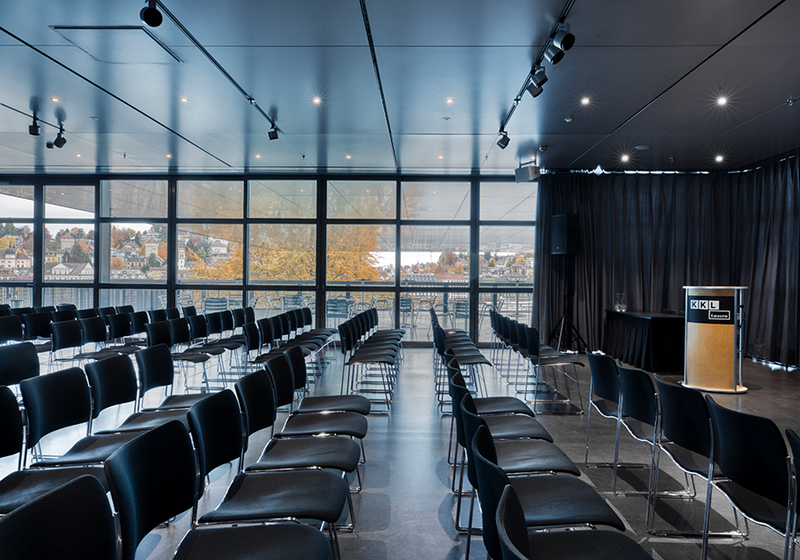 You can benefit from the central location right by Lucerne train station, and let us design a memorable event for your guests together with you.